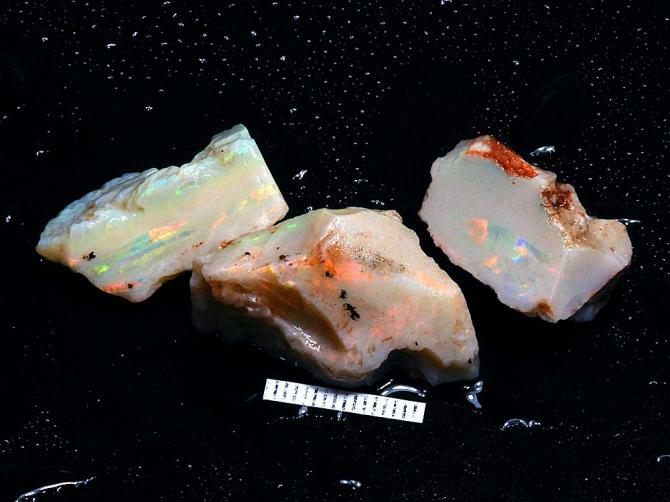 Bright white base Coober Pedy opal parcel from Turkey Ridge Opalfield. True multi-color opal with red/green/gold/blue play-of-color. Individual rough opal weights: 12.7gm, 9.8gm and 8.7gm. 1.00 ounce or 31.2 gram total weight. Scale=20mm.